Barnes & Noble's latest e-reader, dubbed the Nook Glowlight, is just the kind of modest upgrade you'd expect from a product line that's been eclipsed by full-blown tablets. The $119 Nook Glowlight isn't a reinvention of the black-and-white backlit e-reader. All its refinements are aimed at making the book reading experience better--and to keep up with rival Amazon, which announced its own new $119 Kindle Paperwhite earlier this month. Barnes & Noble started by boosting the 6-inch screen's resolution by 62 percent over the previous Simple Touch Glowlight, to 758-by-1024. And although Barnes & Noble has dropped "Simple Touch" from its moniker, the Nook Glowlight still has a touch screen. As with most E-Ink readers, the Glowlight resists glare and is therefore easier to read out in the sun than a full-blown tablet. Another improvement comes in the backlighting, which according to Barnes & Noble illuminates more evenly than the previous model. Users can adjust the level of backlighting or turn it off completely, and during bedtime it's supposed to provide just enough illumination to read without waking your partner. The other big change is in the weight. At 6.2 ounces, the Nook Glowlight is three quarters of an ounce lighter than the previous model, and more than an ounce lighter than Amazon's newest e-reader. As long as we're comparing the two e-readers, Barnes & Noble's Nook Glowlight has twice the storage of the Kindle, at 4 GB--enough for about 2000 books--and while both devices have the same base price, Amazon's Paperwhite has advertisements that cost an extra $20 to remove. On the plus side for Amazon, subscribers to Amazon Prime can get a selection of books to read at no extra cost, and the Kindle has some neat software features such as X-Ray, which offers background information as you read. 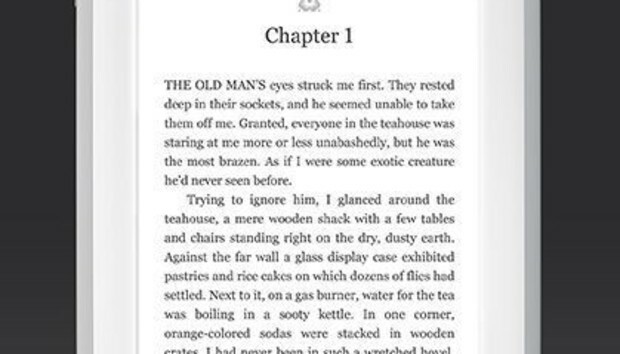 Barnes & Noble is making its own software improvements on the Nook Glowlight, such as elimination of screen flashing when you turn the page. The company's also tapping its bookstore knowledge to offer curated recommendations for readers. Of course, your willingness to buy a Nook Glowlight will likely depend on how invested you are in any particular content ecosystem, whether it's Barnes & Noble, Kindle, Apple or Google Play. While Barnes & Noble has tried to be a bigger content player with its Nook tablets, the company's tablet business has been in limbo. Earlier this year, Barnes & Noble said it would outsource its tablet design to other companies, but then reversed that decision after a change in management. It doesn't look like there's going to be a new Nook tablet this year, as the company regroups, so investing yourself fully in the Barnes & Noble ecosystem is a bit risky. But the company at least seems committed to the e-book business, and while we haven't tried the Nook Glowlight, it looks like a worthy contender if you aren't already locked into another company's bookstore.